Bahco adjustable spanners – precision-hardened to withstand high torque loads. 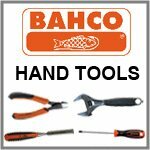 Including the famous wide jaw Bahco 9029 & 9031 models. Also available in standard 6, 8, 10 and 12 inch sizes. Bahco adjustable spanner with wider jaw and shorter shaft than the standard wrench. Ideal for working in confined spaces. With wider jaw and shorter shaft than standard wrenches. Ideal for working in confined spaces. Bahco 9031-P 8" adjustable wrench with reversible jaw - the perfect combination of a pipe grip and pipe wrench. RRP: £37.98 (+VAT). OVER 40% OFF! With extra wide jaw - opens 40% wider than standard adjustable wrenches. Reversible jaw for pipe use. Slim jaw version of the Bahco 9031, with wider opening and thinner jaws than a standard adjustable. RRP: £42.90 (+VAT). OVER 55% OFF! 4.5mm ultra slim jaws (with same jaw strength as the 9031). RRP: £46.53 (+VAT). OVER 50% OFF! With wider jaw and shorter shaft than standard spanners. Ideal for working in confined spaces. Overall length: 270mm (approx 8 1/2"). RRP: £32.41. OVER 40% OFF! Bahco 9070 Ergo adjustable spanner. Precision-hardened & anti-corrosion treated - can withstand high torque loads. Overall length: 6 inch / 158mm. Bahco 9071P 8in - with the jaw in its standard position it is a normal adjustable spanner, but when the jaw is reversed it becomes a serrated jaw-pipe wrench! RRP: £66.53. OVER 40% OFF! Including: pliers, cutters, chisels, screwdrivers, hammers & more!